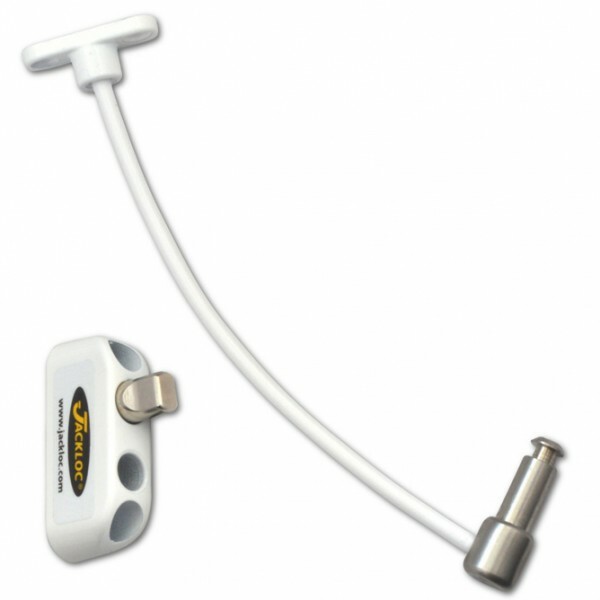 The Jackloc window restrictor was designed with Health and Safety in mind. Suitable for every type of opening window or door. Can be fitted to all materials. Security screws are provided for wood, steel, aluminium and UPVC. Push and Turn Button to lock or release bolt. Holding force of 3000N. Meets British Standard EN 14351-1:2006 for Windows and Doors. Tested and passed to BS EN 1670:2007 class 3 - subjected to a neutral salt test. PLEASE NOTE: Both cable and lock should be fitted with screws of a suitable size and design for the individual window construction. Both cable and lock should be fitted with screws of a suitable size and design for the individual window construction.